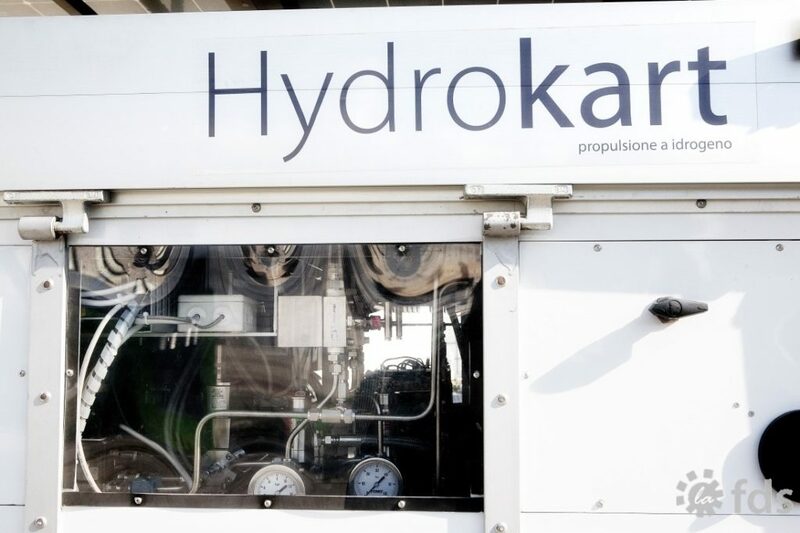 Our research is all carried out at HydroLAB, the laboratory for renewable energy and hydrogen that was born completely disconnected from any network. 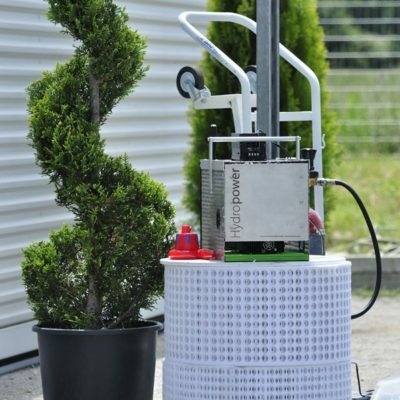 The activity of Hydrolab is based on the continuous Research and Development of innovative and environmentally friendly products. Driving this process is the national Scientific Committee with interdisciplinary skills. 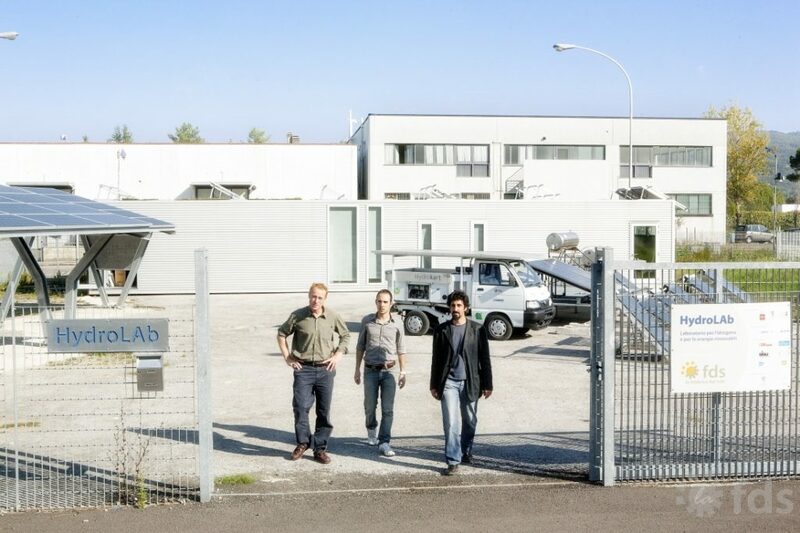 Hydrolab is our R & D laboratory. 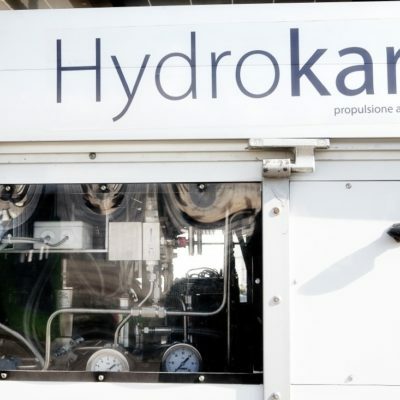 Born as the hydrogen pipeline monitoring station designed and built in Arezzo in 2004, Hydrolab is the center for research, testing, and development of Off Grid solutions. 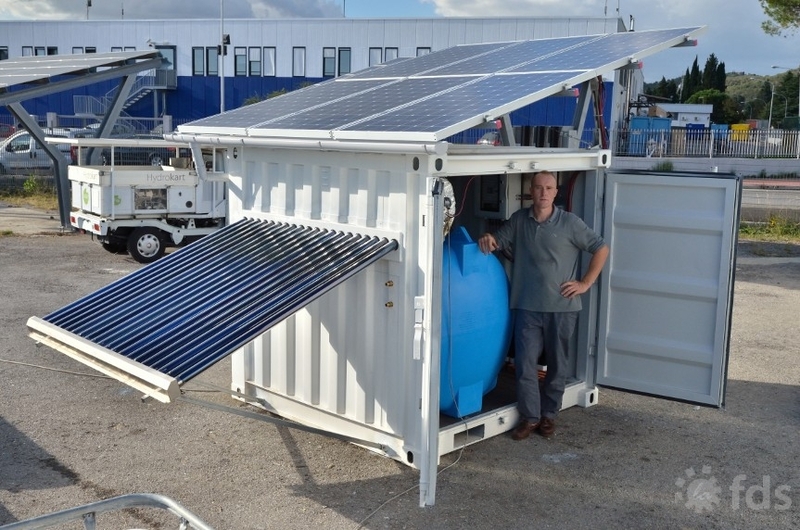 Over the years, the laboratory has been equipped with photovoltaics, solar thermal systems, solar cooling systems, low temperature distribution systems, electronic storage using a hydrogen carrier, phytoremediation, closed circuit water systems, wifi, radio, and Linux connections, all powered through Off Grid technologies. 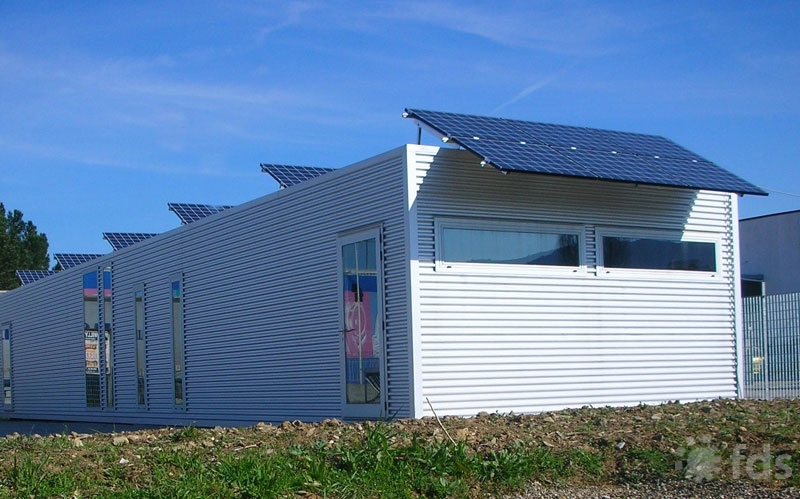 These concepts were applied to other buildings, and eventually synthesized in the Off Grid Box, a container that allows simple, efficient, and comfortable self-sufficiency. 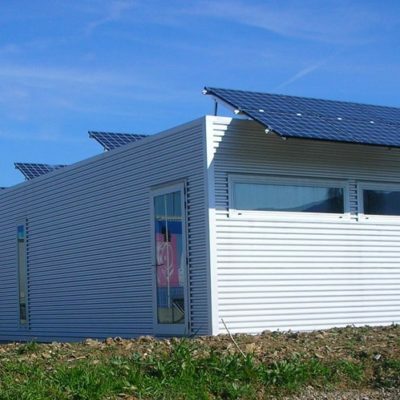 We develop our products based on the principles of eco-design, so they are characterized by affordability, sustainability, and durability during both their production and life cycle. 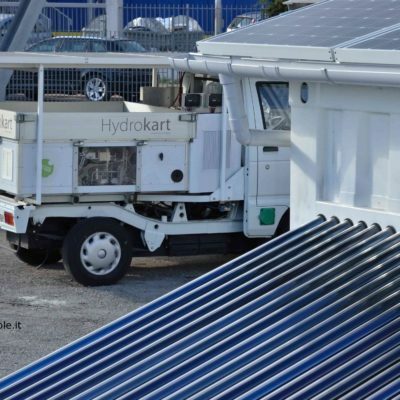 The corporate mission is the search for innovative, ecological, and accessible solutions that will lead the transition to a carbon free society. 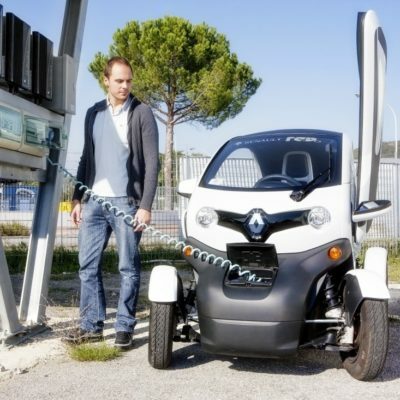 The goal of creating a vehicle that recharges automatically from a free, clean, and renewable source without the use of a power “distributor” has led to the first prototype of a solarized mini-van. The themes of this area of research are the electrical architecture, security maximization, and robustness. Thermoelectric generators rely on the reverse principle of the well-known Peltier cell: a heat source attached to a cold source with a temperature difference between 200 and 350°C can generate electric current. 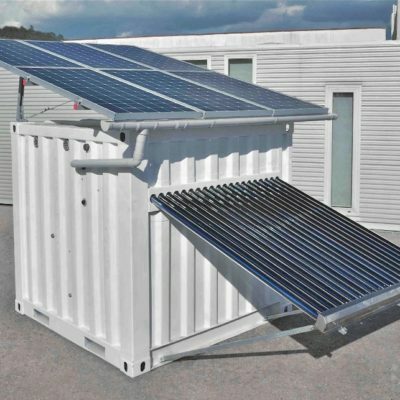 If suitably applied to a heater or boiler, it can be a valuable contribution to electric current in the battery pack of an Off Grid project, especially in the winter months when there is little solar radiation. 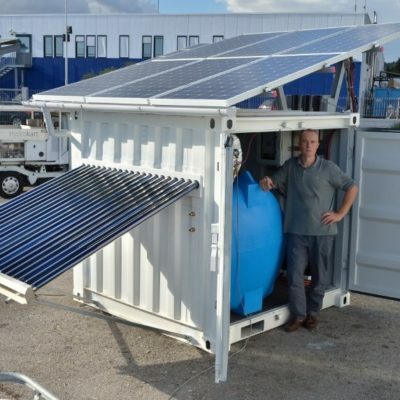 We have prepared an Arduino-based monitoring system to observe the most important parameters of an Off Grid Box operation (see www.offgridbox.com). 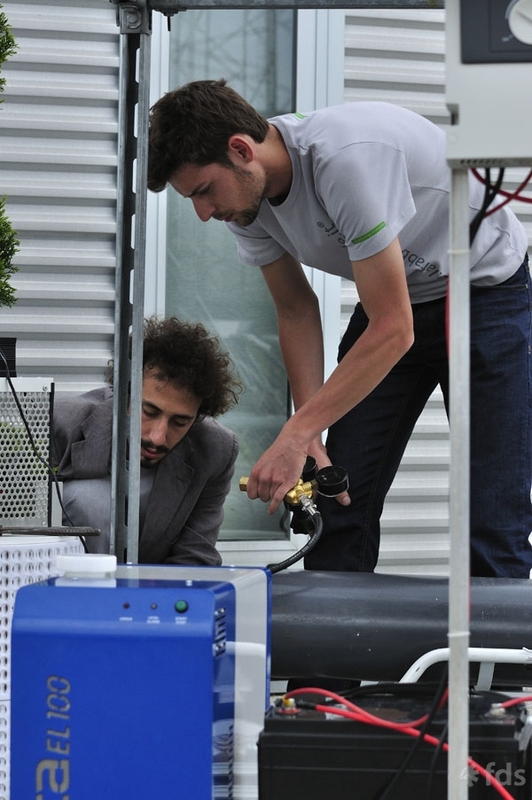 The system can detect, for example, the battery charge status, the level of rainwater in the collecting tank, and the ambient temperature. These statistics are sent from the OGB via GMS / SMS, 3G, or a satellite connection to a central database which will publish them online for the user or for maintenance purposes. 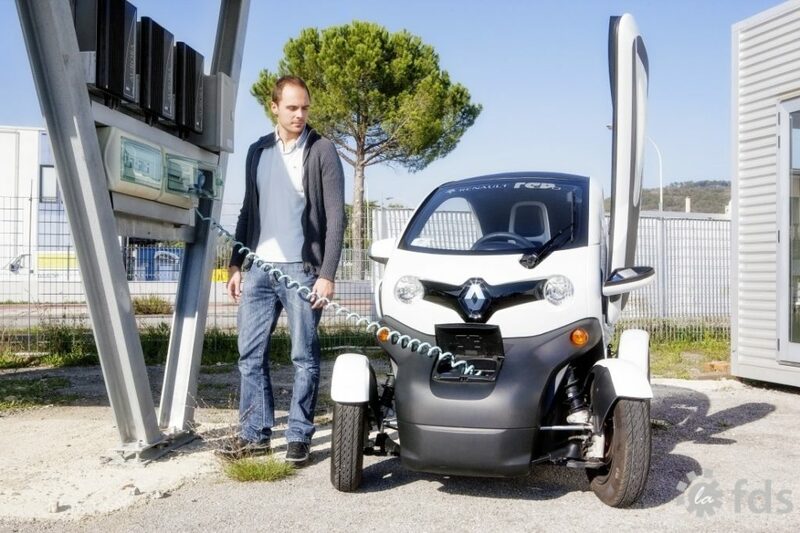 Storing energy in chemical batteries poses problems of weight, maintenance, and the environmental impact of disposal. 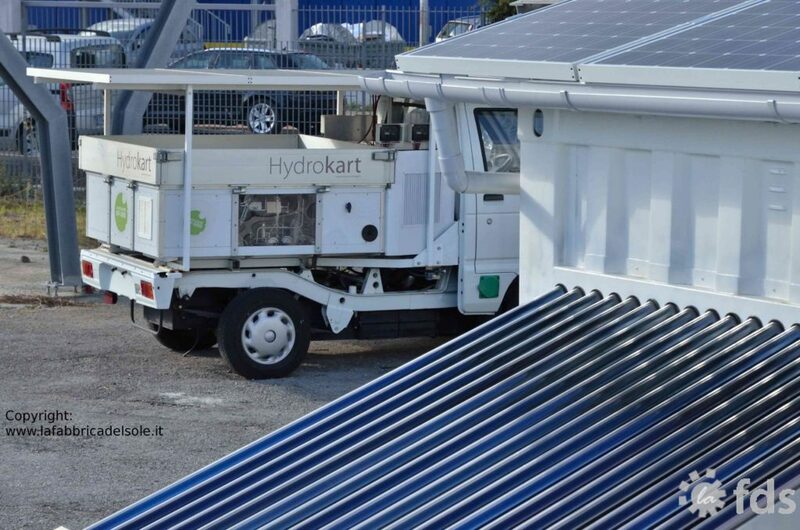 The purpose of our research is to store energy from renewable sources such the sun or wind in the form of natural compressed air, which could then produce electricity through the use of a micro-turbine. 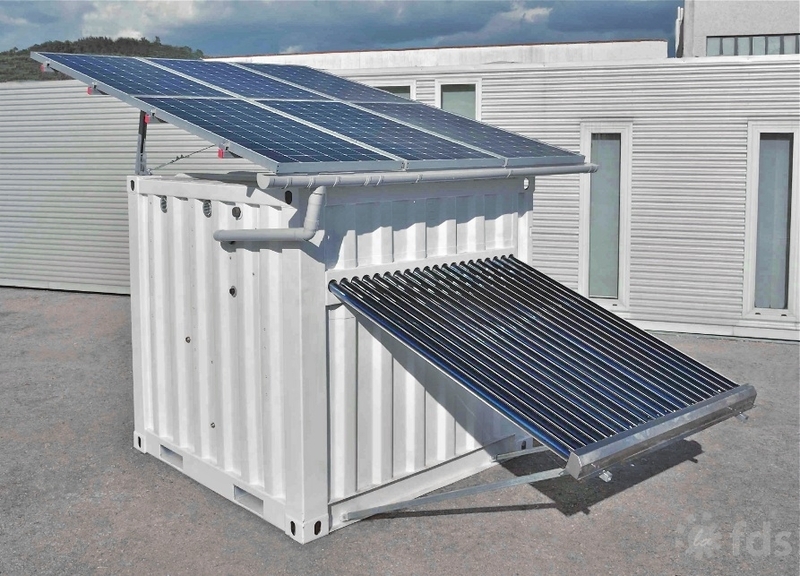 It would also be useful to recover heat in the compression phase and engineer the solution within an Off Grid Box in order to reach users isolated from the electrical network. 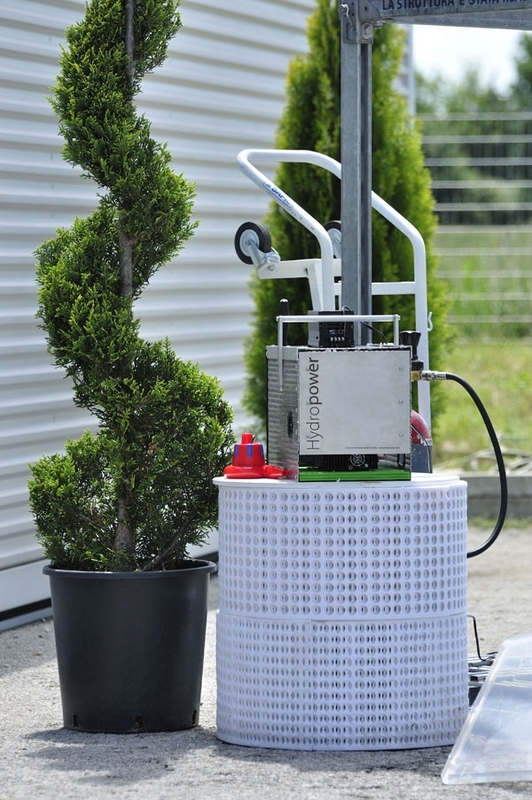 An ordinary electrolyzer converts demineralized water obtainable from rainwater into hydrogen and oxygen using the electricity produced from renewable sources. 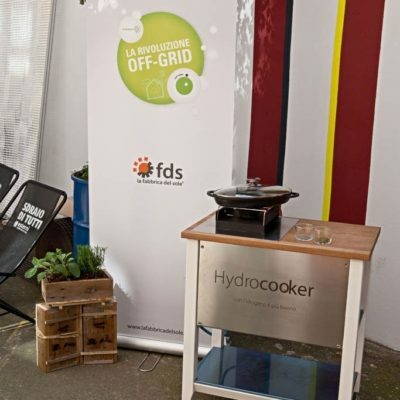 In the context of being “Off Grid”, the excess production from wind or photovoltaics can generate pure hydrogen, storable in a stable manner within special tanks, and usable, for example, to cook on a cooker with minor modifications. 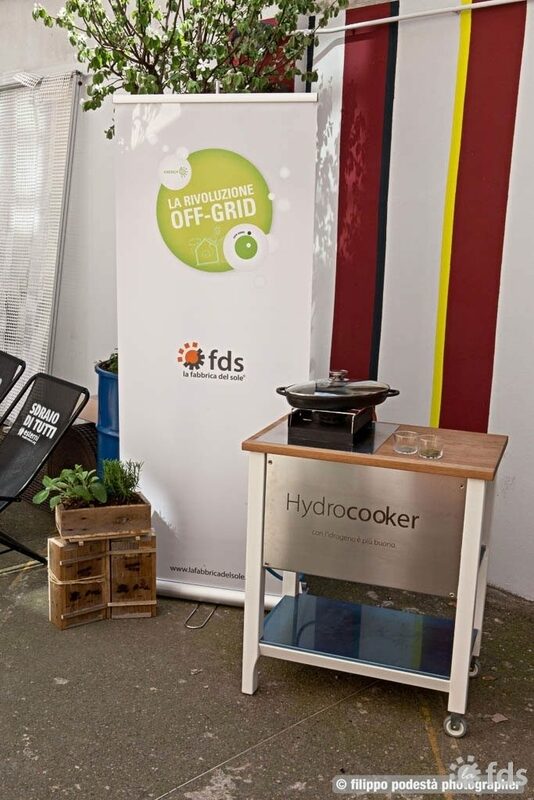 Our patent uses a physical principle known to ensure the safety and efficiency of the Hydrocooker stove. The research is now moving towards changing the nozzle of a boiler used for domestic heating to acquire technical and economic data not presently clear in existing literature.